Yup, I’ve become a little obsessed with my sewing machine. Is this a bad thing?? 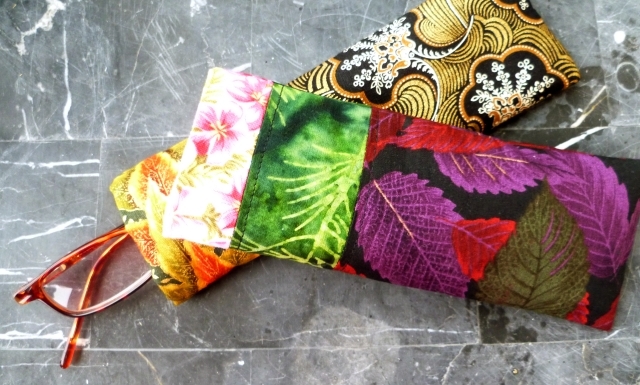 The fabric I blogged about yesterday has been cut up and turned into a few little things. 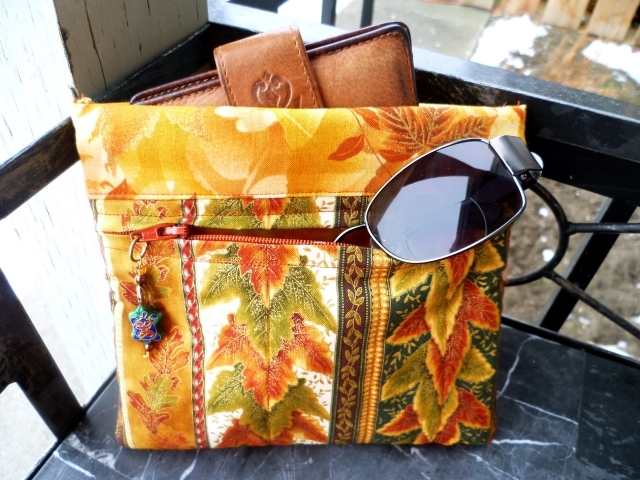 The snappy bag with a zippered pouch turned out even better than I’d anticipated! I am REALLY happy with this little bag! 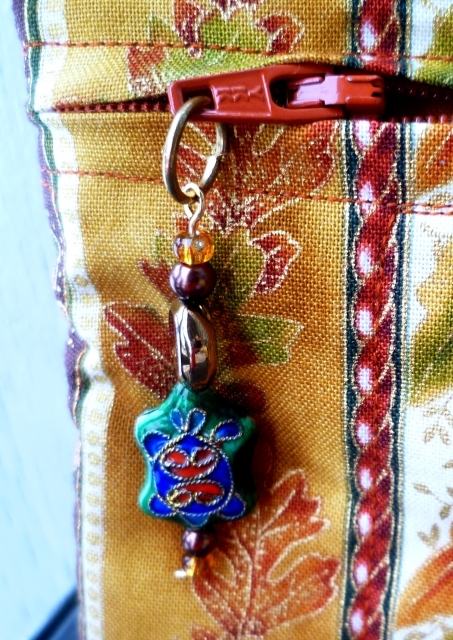 The only thing I could critique was that the zipper pull was a little small, but making a beaded pull solved that little problem. These were some beads from my stash; I probably didn’t make it the way it “should” be made but it works and I think it accents the bag nicely. Once I had the bag done, I did some online browsing and found another simple little project that I think will come in handy. I have… oh… four or five pairs of reading glasses. Between here and work, I have glasses handy just about everywhere. None of them have cases, though (well, except for my new sunglasses). This glasses cover, and the sunglasses cover below were both made using the tutorial I found over at Mommy’s Nap Time and both came together in less than an hour. 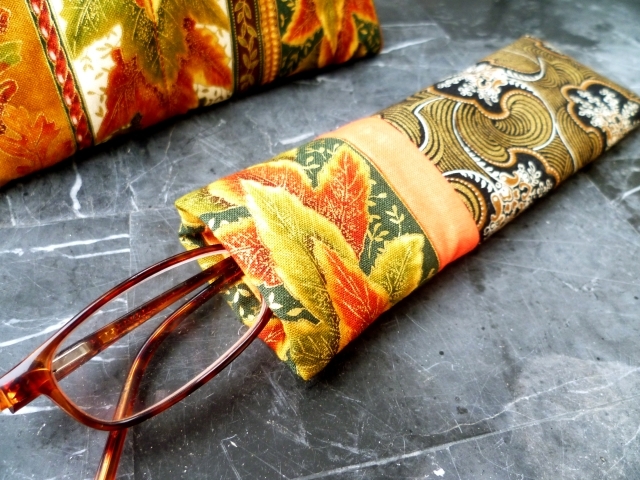 It’s an easy pattern to customize, depending on the size of your glasses. I may be making a couple more of these and may even customize one for my iPod Touch. I can honestly say I’m having a lot of fun but I have got to get some knitting done.